A reader wrote in today asking how to make Google Chrome the default browser in Windows 7 or Vista, because it doesn’t show up in the Default Programs list under Control Panel. It’s really simple! 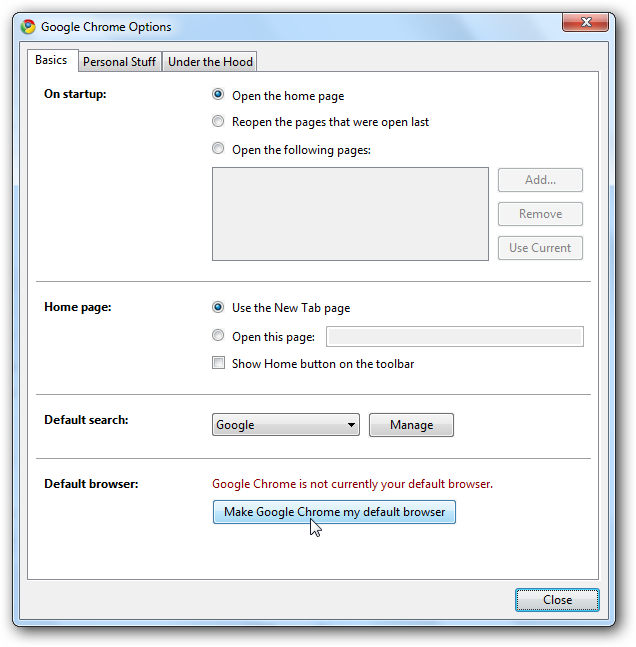 Just head into the Google Chrome Options panel, and then click the big button at the bottom. Yep, it was that simple.